It can sometimes be difficult for business owners to step outside their standard role as the central hub of the company they’ve worked so hard to build and grow. But if you’re considering selling that same business, that’s a skill you’ll need to acquire if you want to get the maximum value from the sale and enjoy a smooth transaction. Bar owners are known to be among the most passionate of small business owners. They can’t help it, really. Owning and running a bar is as much about making and keeping friends as it is about making a profit, so taking it personally just comes with the territory. 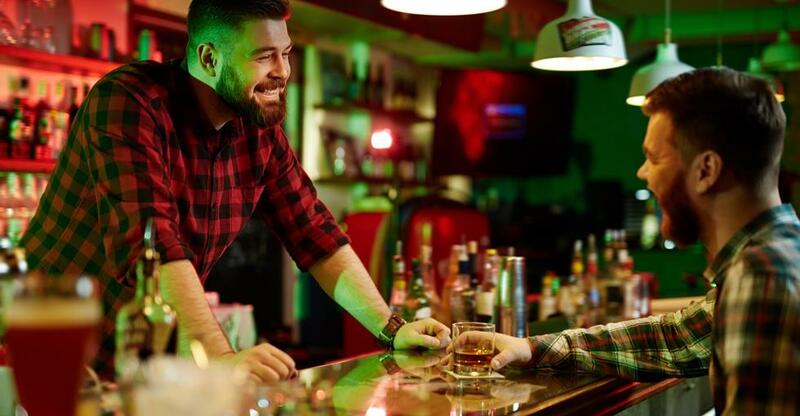 So, naturally, if you’re considering selling your bar, you’re going to need to face a difficult challenge head on: to get the most out of it, you’ll have to set aside your deeply personal attachment and take a long, hard look at your bar through the eyes of a prospective buyer. What is a prospective bar buyer looking for? A serious prospective buyer for your bar will likely already be working with a business broker, attorney, accountant, and commercial real estate broker. This team of advisors are there to help them turn over every stone and make sure every question is answered before they commit to the purchase. The key to preparing for a successful sale is to make sure you can answer all those questions in a way that’s not just accurate, but appealing. Since they’ll be approaching these elements of your business with a team of advisors helping them, your best bet is to get help from a team of your own. With their assistance, review the following items objectively and prioritize a list of things to focus on improving in order to attract a buyer and enhance your bar’s perceived value. While the type of bar you own has a huge impact on its aesthetic, you want every prospective buyer to be impressed when they first see it and walk in. That means focusing attention on the condition and cleanliness of the entranceway, including the walkway or parking lot leading up to it. Any exterior signage needs attention as well, not just to make sure it’s clean and presentable, but to ensure it’s effectively announcing the bar’s presence. Beyond that, the condition, look and feel of the interior are important as well. Granted, most bar patrons aren’t expecting the kind of plush furnishings and luxurious trappings they’d expect from a high-end restaurant, but the bar needs to be clean and in good repair if you’re going to attract a serious buyer who’s not going to lowball your asking price. All of your bar’s business records — financial, legal, personnel — need to be in order and readily accessible for buyers to review with their lawyer’s and accountant’s help. If you’ve fallen into poor habits when it comes to documentation, this needs to be resolved before your bar hits the market. No matter what you claim about the money you’re making or the status of your current lease, if you can’t support it in black-and-white, no smart buyer is going to put their trust in it. One of the main reasons business sales fall through late in the process is the fact that buyers can’t get comfortable with their ability to successfully take over the business once the existing owner leaves the scene. If you’re serious about selling, but you can’t possibly take a month completely off and expect your bar to be running smoothly and profitably when you come back, you have work to do. The solution to this problem involves the systems and processes that form the backbone of your business operation, as well as the staff members you have in place to carry them out. Once you have these systems and team members in place, and things can run even without you there, a prospective buyer should have no trouble seeing himself filling your role as owner because you, personally, are no longer an integral piece of the puzzle. You can involve your loyal customers in the sale process by getting their input about why they love to visit your bar. By sharing this valuable insight with a prospective buyer, you boost their confidence in their ability to duplicate your success, which in turn makes them more likely to agree to a higher asking price, since it mitigates their risk of losing the established customer base. By covering these simple bases with the help of your team of advisors, you’re stacking the deck in your favor in preparation for putting your bar on the market. Once this work is complete, you can confidently list your bar for sale, knowing you’re in the best position to get its maximum value without losing anything to the tunnel vision or sentimentality that naturally accompanies owning a bar.